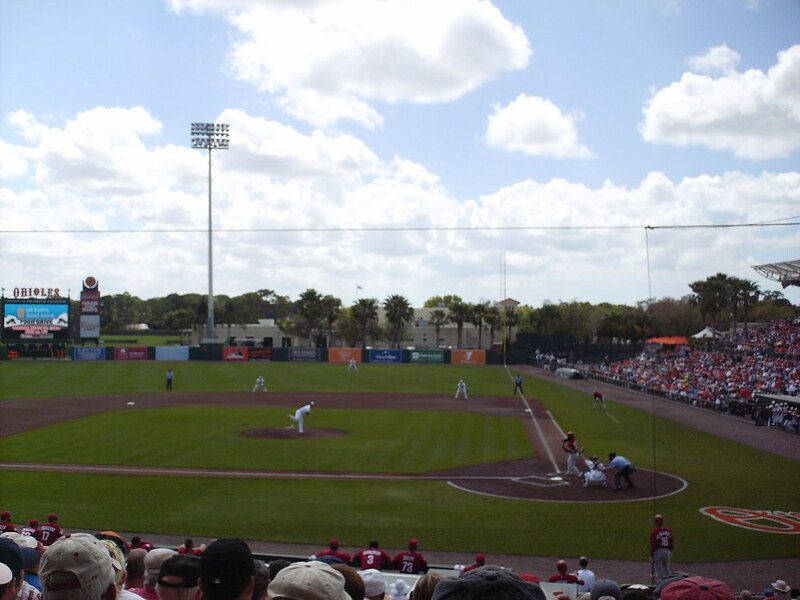 The view from behind home plate at Ed Smith Stadium. 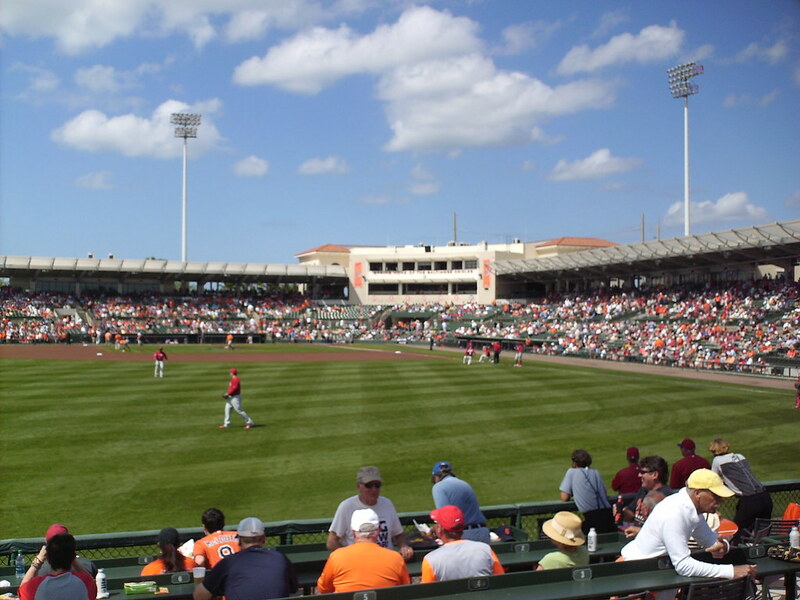 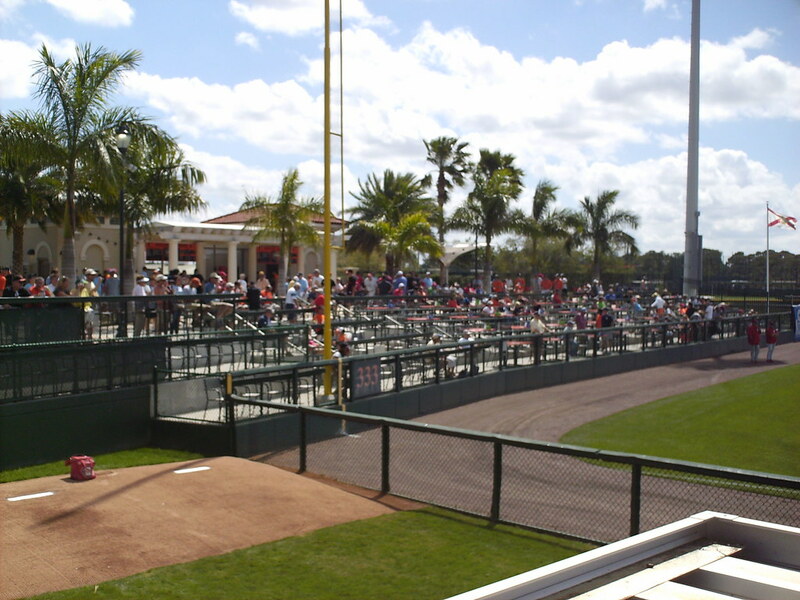 The grandstand at Ed Smith Stadium as seen from center field. 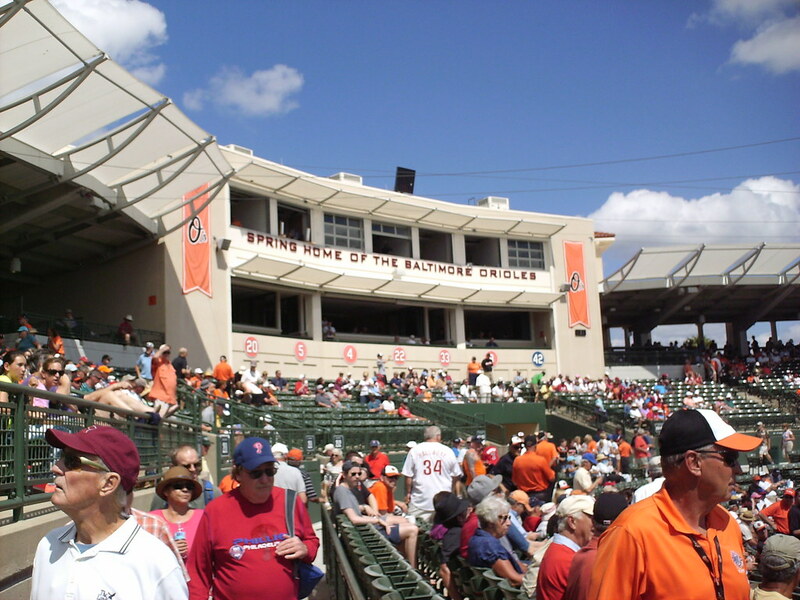 The pressbox behind home plate, with Orioles retired numbers underneath the window. 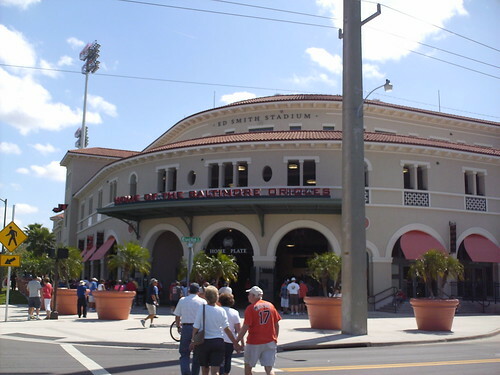 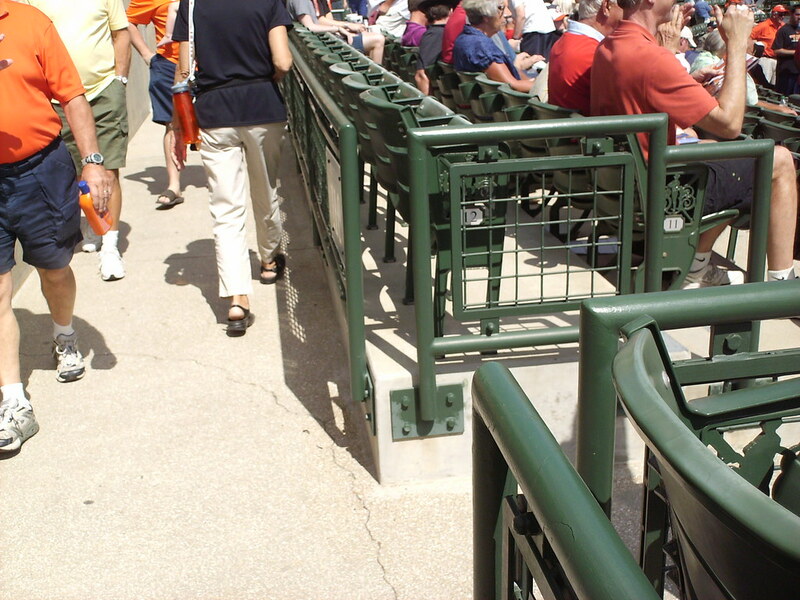 The Orioles completely renovated the stadium when they moved in before 2010, replacing all the seating with former seats from Camden Yards and adding several rows of seats in what was the grandstand concourse. 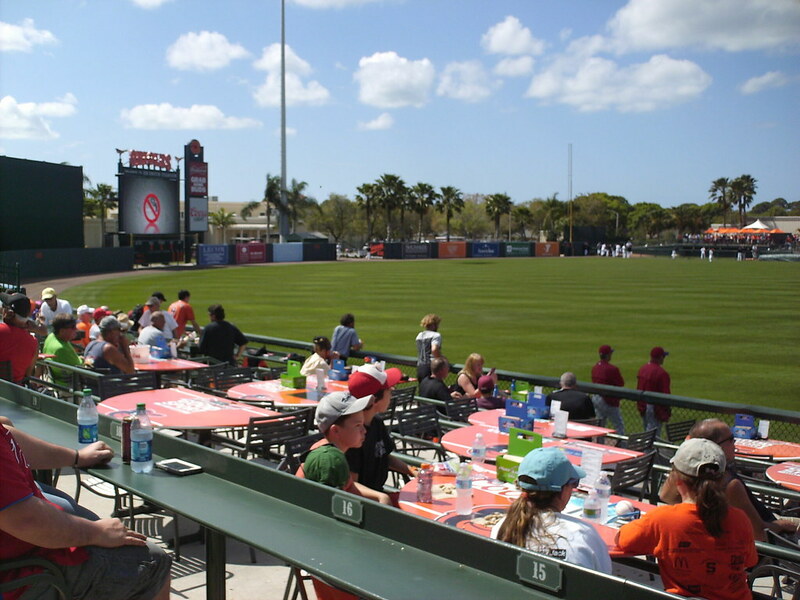 Group table seating wraps around the left field foul pole, overlooking the bullpen and the playing field. 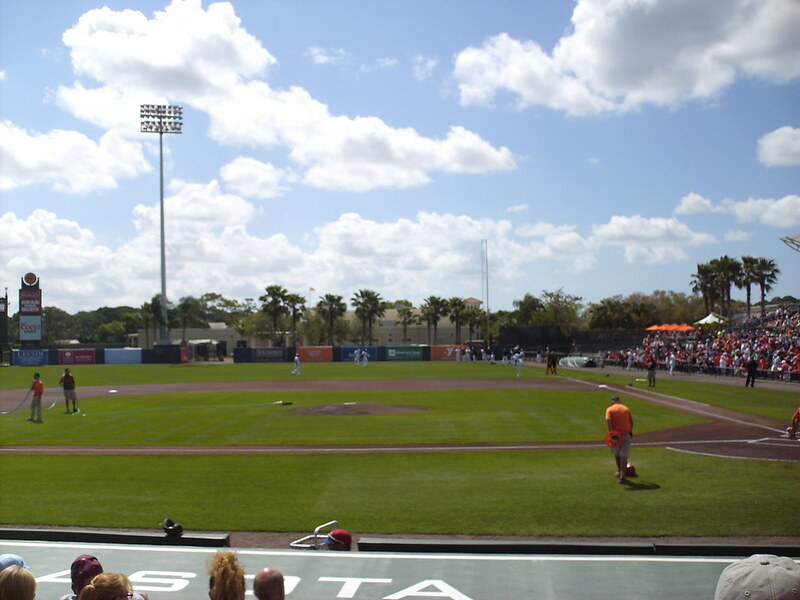 The view of the outfield from the group seating area in left field. 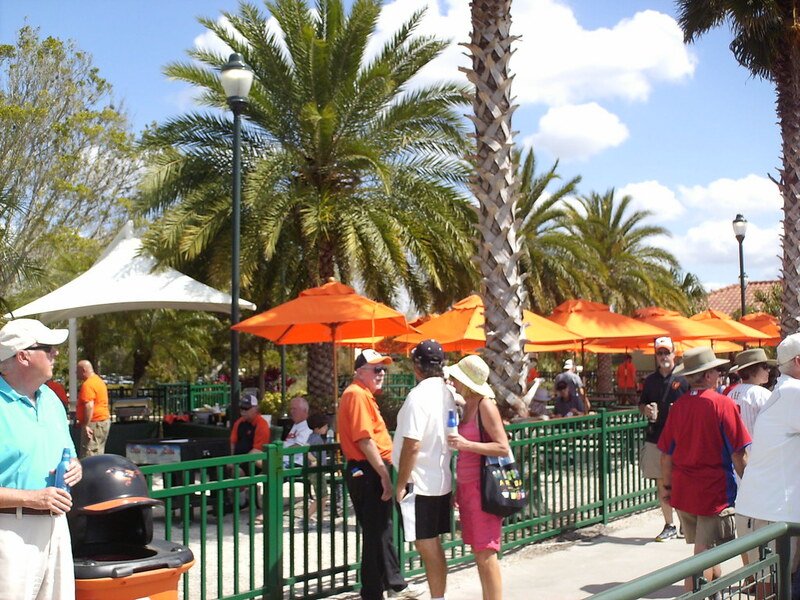 Palm trees and umbrellas along the concourse provide shade from the March sun during a Spring Training game. 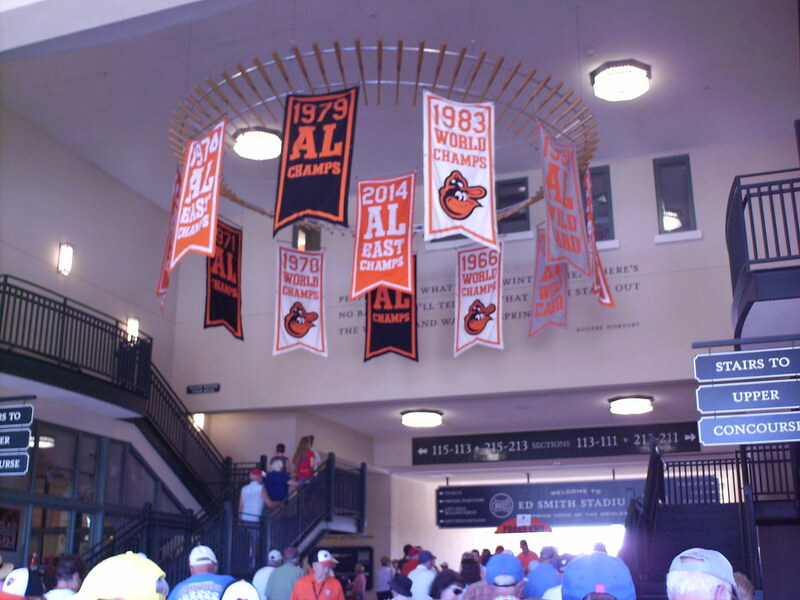 The renovations ahead of the Orioles arrival included the addition of an entrance pavilion, with banners celebrating past Orioles championships. 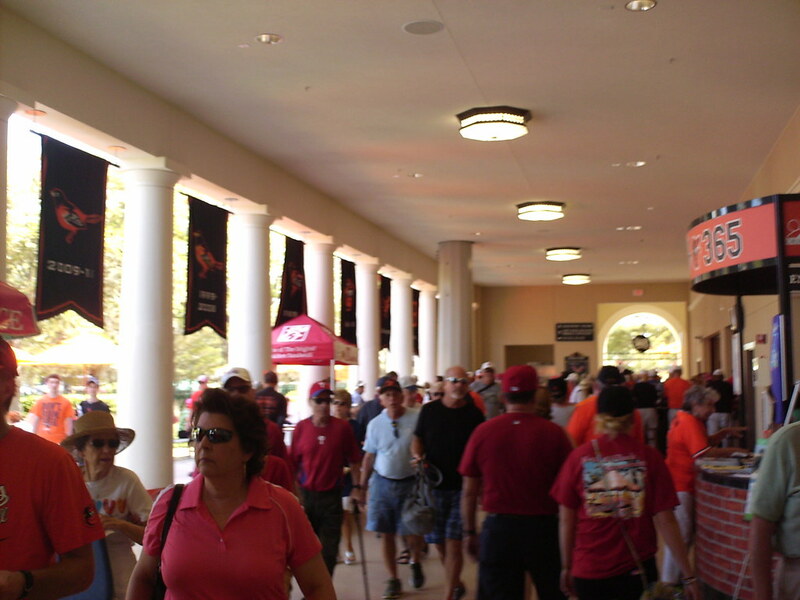 The renovations also added a wide new outer concourse in what was previously open area behind the grandstand. 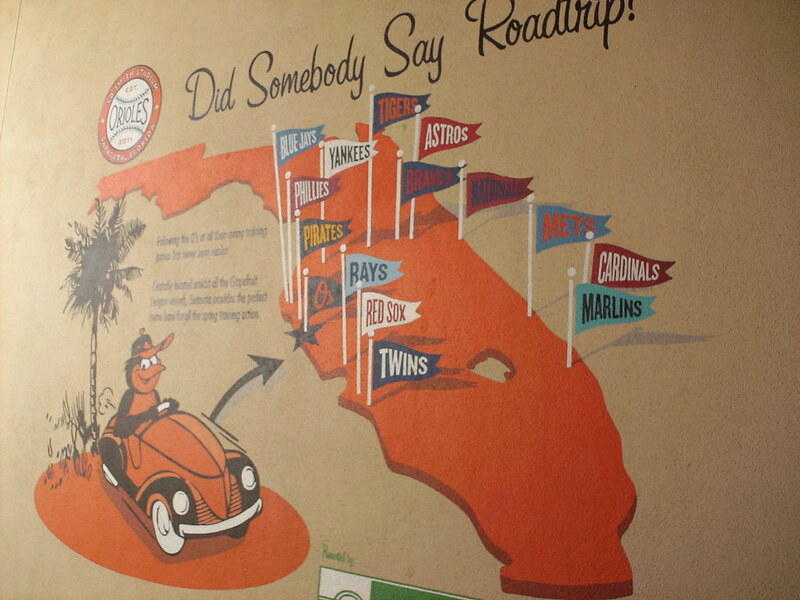 A mural on the lower concourse shows the location of all the Spring Training parks in Florida's Grapefruit League. 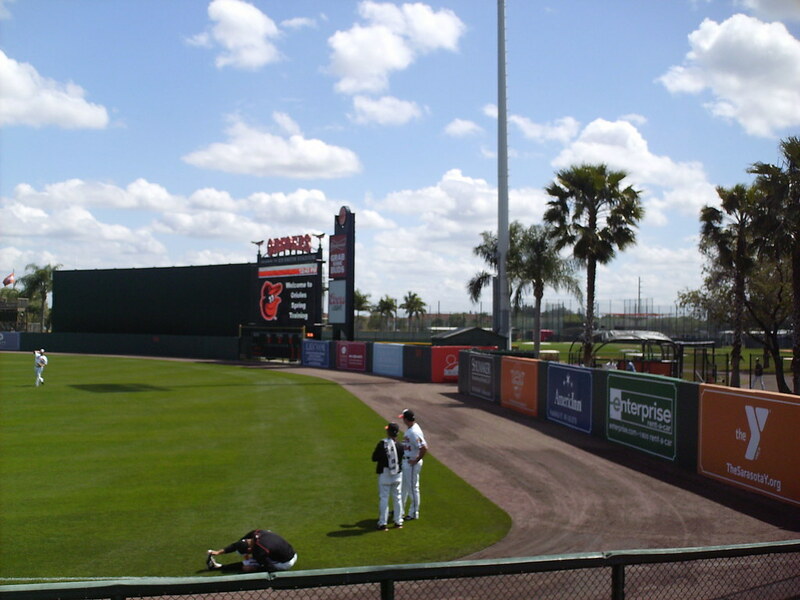 Instead of being mounted on the outfield wall, the line scoreboard replaces a section of the fence, making the wall taller in that section. 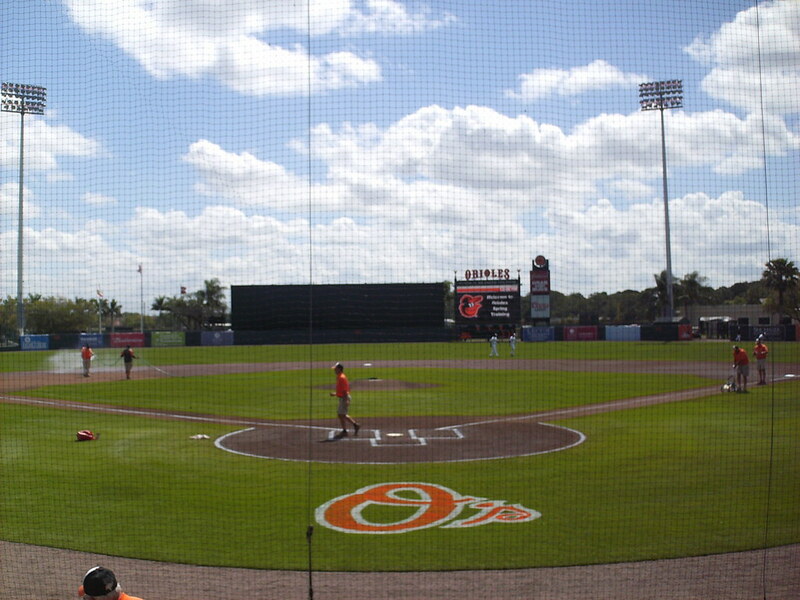 The video board sits above it. 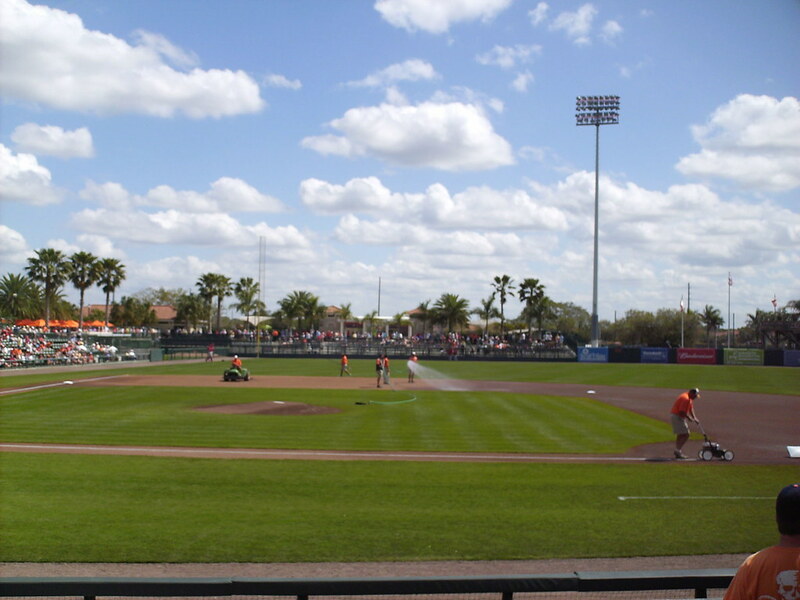 The Baltimore Orioles on the field during a Grapefruit League game at Ed Smith Stadium.